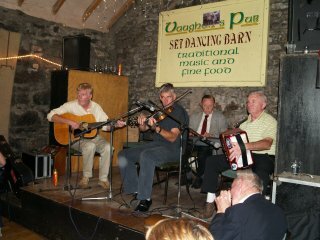 .... and a great night was had by all courtesy of the local band of musicians. Linnane's Bar and Nagles Pub in the main street. The Burren Information Centre in the village of Kilfenora with good displays on the geology, geography, history, archaeology and the flora & fauna of the wonderful limestone country of The Burren through the aid of a landscape model and a homely tearoom as well. 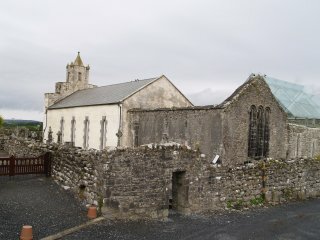 The Burren Centre is next to St Fachtnan's Cathedral. 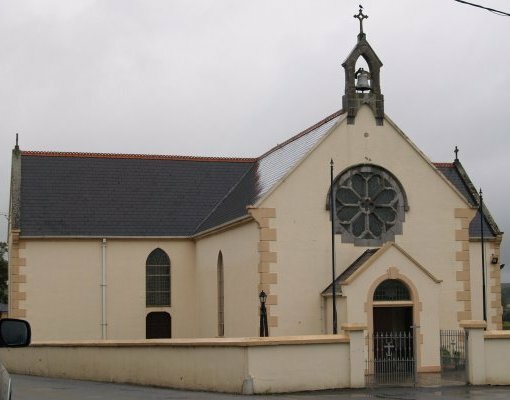 Kilfenora St Fachtna's Catholic Church (built 1840) and the statue of St Anthony who seem to bring us good luck over some lost car keys! 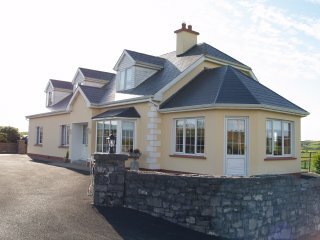 Kilfenora, The Burren, County Clare, West of Ireland: Griffeys Ballybreen House (B&B) is a really good and friendly hospitable bed and breakfast, just west, and outside of the village of Kilfenora, set in the gently rolling limestone farmland of the Burren, Co. Clare, Ireland. 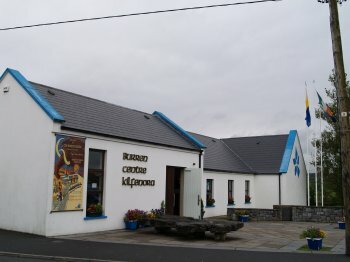 St. Fachtnan's Cathedral and ancient crosses are worth a visit in the village of Kilfenora, before the evening feasting and entertainment begins (see below). 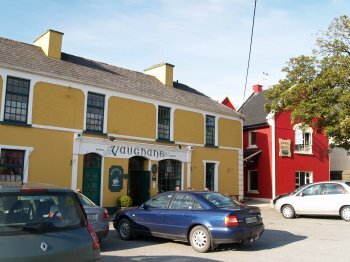 Vaughan's pub-bar provides good food and traditional Irish Music in the village of Kilfenora, The Burren, County Clare, Ireland. 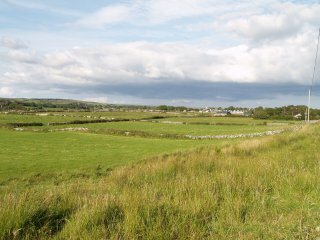 By the pub is Vaughan's set dancing barn, well used by local musicians and dancers. Next to Vaughan's bar is an independent hostel for budget accommodation (red building). 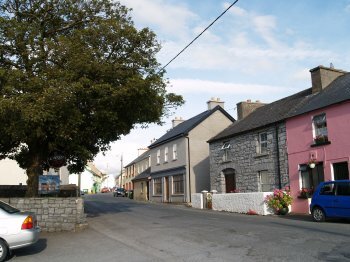 Kilfenora is basically a one street village and 'The Home of Ceili Music' or at least the Kilfenora Ceilidh Band! 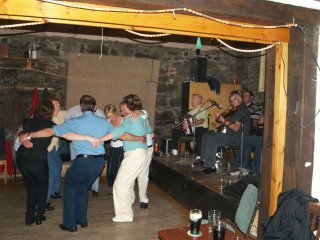 Two other pubs-bars are traditional Irish music venues. 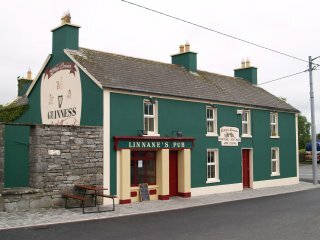 Linnane's Pub (Kitty's Corner for traditional music and home cooking!) 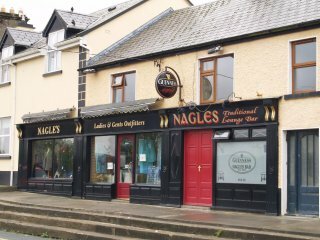 and Nagles Traditional Lounge Bar (combined with Nagle's Ladies and Gents outfitters!). 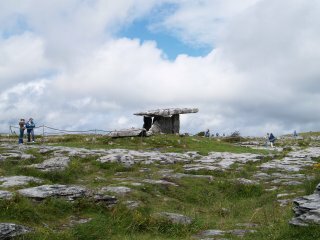 Not too far away from Kilfenora is the famous Poulnabrone Dolmen and other prehistoric sites, on the limestone pavement of the Burren, just off the road from Leamaneh Castle to Ballyvaughan, all well worth a tourist visit. 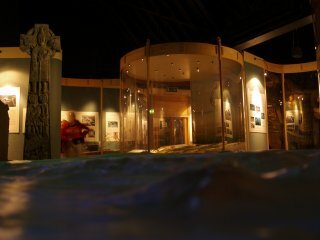 The Burren Centre in Kilfenora has an excellent audio and visual displays all about the geology, flora and fauna, prehistory and history of the Burren region and a good budget cafe. 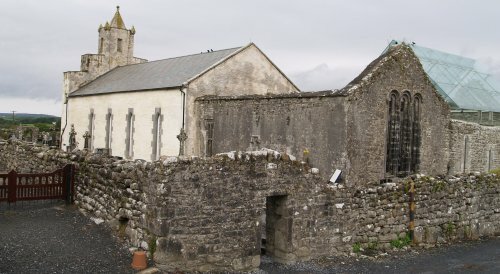 St. Fachtnan's Cathedral, the current older parts of the building date from the late 12th, 13th, 14th and 15th century, including the ruined roofless chancel with some rich carving remains and particularly the fine east window. 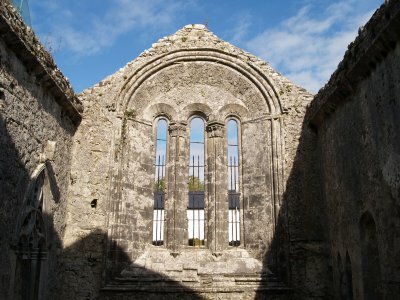 The magnificently carved triple-light of the 12th century east window of Kilfenora Cathedral. 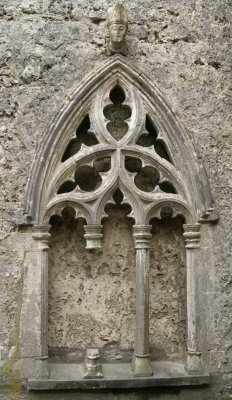 Details of the top carvings of the east window, with the finely carved capitals. 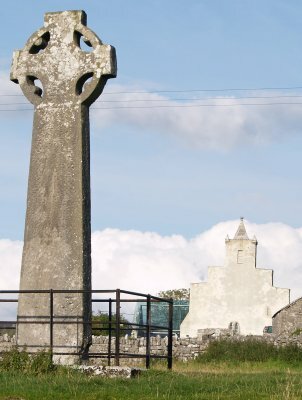 St Fachtnan's Cathedral's High Crosses are rightly famous for their rich carvings including traditional elaborate Celtic decoration. 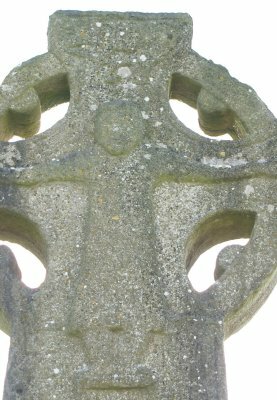 The 2nd/3rd pictures show the two faces of the twelfth century 'Doorty' Cross. 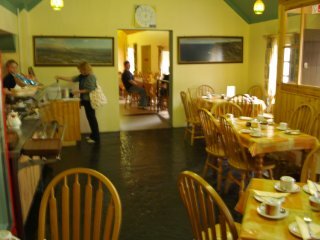 The 4th picture is not very clear! 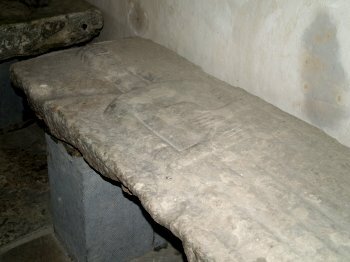 Gravestones in the porch. 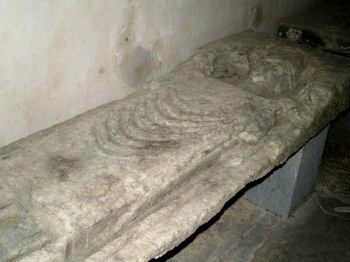 These grave slabs date from the 14th century depicting a 'ribbed'! 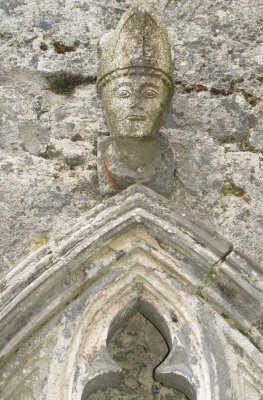 bishop and a cleric, perhaps holding a book?